How to put an old frame to good use! I have a love of beautiful old frames and I love hunting around the markets for them.Here I have given examples of how you can get creative with an old frame. It looks wonderful with my style of french furniture at home. Wall vases are a great way to create a beautiful feature. I have used silk flowers in these ones. I often also use Jasmine it smells divine and hangs nicely over the vase. 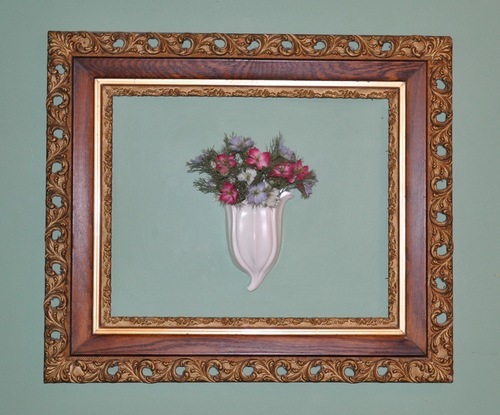 An unusual vase can be a special feature as well, a small painting within the frame, a wall plaque or any other wall hanging you have can look amazing to. Experiment with what you have it. I would be delighted with your feedback and comments. Please let me if it worked for you.